It happened once upon a time, in a dream, that was how he perceived the incident hitherto. Though the lie had escaped his understanding and was able to obscure itself within his human weakness that he had fooled himself into believing was his basic understanding of logic and reason. He now had cleared his own mind, he had emptied a cup that had been filled with crystal clear poison and outfitted with the label of “Water”. “Allow me no relief from this dream” he had been sure to pray to the universe or the God above so that he might finally come to an understanding of this occurrence in his life. Forever in a world of black he would find himself falling, in this dream, he would be there above the world of nothingness, surrounded by the stars he would fall slowly. His body bare, naked, devoid of all save for his skin and hair and his very life, a thing of which he was not too clear on how he kept as he was obviously in the boundless expanse of space. Or perhaps he was beyond it? The stars raced by him, suns burst and imploded devouring all existence surrounding him before he passed them by in an elapse of time of which he could not comprehend. All of everything and all of nothing collided with his very mind and his soul cried out as his brain attempted to comprehend the very nature of what his eyes were feeding it. And then he was bathed in the light. He was bathed in the light of all of existence shining down in an explosion of pure white and gold, speckled with tiny stars and massive red suns just before they erupted and burst a hole into the fabric of space and time. He was pulled in by the light, his falling body drawn to a new course, in the opposite direction, toward the source of this radiant wave of everything. He was guided by it, faster and faster until all that he saw was not but a blur. Then he could see it, that thing, the source, that monster of which changed form every time, all the time, every moment that he saw this over the hundreds upon hundreds upon hundreds of times he lived this moment in his life. This creature; the source of the light, it was never the same. This time it was a honey-suckle, or rather a bush decorated in Honey-suckle flowers, similar to the type that his wife enjoyed looking at in the botanical garden just outside of their neighborhood. It appeared like this most nights, he knew his mind would shatter at the attempt to comprehend the sheer visage of this creature before him, he knew it may be on par with God himself if it were not him he was gazing upon every night. The light drew him into the thing and then…..he would wake up, he would be home alone, his wife out; cooking in the kitchen, at work, in the bathroom. She’d be gone and then he would hear the sound. The three bangs on the door, so forceful they threatened to tear it from the hinges. They would throttle it over and over again and then he would awaken. “Jackson!! !” his wife would often wake him from his sleep or he would just wake screaming at home alone. But it was different this time, The universe had answered his prayers; he let him see this time, he allowed him to see further into the dream. Jackson stood and went over and he opened the door and he pressed his ear to it, he could hear them, they talked, they spoke in a language he couldn’t comprehend, but he understood, he knew he had to answer the door. There was someone at the door, there was someone knocking. He grabbed it, turning the knob, he flung it open quick, excitement overwhelming him…..and then he saw them, he saw them, and his eyes they….they went blind, his mind it cried out; pain engulfing his brain overwhelming him and then he woke. He didn’t scream, his wife didn’t wake him….she was just there beside him. Holding him close, She was asleep still…maybe she was off today. He loved her, he loved her so much, no one could comprehend how much he loved her. He gripped his head as the pain returned, he needed it to go away so he could think…how would he save her? Then he heard it….the banging , the knocking, it began and he jumped up, standing on the bed, ready for anything. “Jackson? !” she jumped up looking to him, awakened by his sudden outburst. “There’s someone, someone’s at the door!” he said panicked, his eyes fixated as the banging continued, he could hear them talking, he could hear their voices; that language that he could not understand. “Baby…….” She stood from the bed looking to him as he stood, frozen, fear holding him in place. “I can’t” he said, his terror manifesting in his eyes as tears fell down, tracing his cheeks and falling down from his chin. “Jackson….there isn’t anyone at the door” she said climbing back into the bed, her voice soft, she had lived with this for the past 3 years; his paranoia, his outbursts. But she loved him…she loved him despite it…but she wanted him to end it, for his own sake, she couldn’t see him in pain anymore. The room was dark, near pitched black, she stood on the bed with him, pulling him in close and holding him, allowing him to melt into her embrace. “There isn’t anything out there” she said, she wanted him to believe her, she needed him to, she didn’t know how much longer her own sanity would hold out if he didn’t finally come to his senses “You’re letting your dreams drive you insane” she whispered in his ears “They’re driving me insane” she said, her sorrows filling her throat. Jackson pulled back. “Its okay –“ she said sitting beside him, reaching out to hold him…..but then the banging continued now….louder, louder and louder echoing throughout the room, catching Jacksons attention. He jumped up screaming! “They’re here –“ but he froze as he remembered his wife. He looked to her, she looked to the door wide-eye as the banging continued! No rhythm; like dozens of fists banging and banging in a cacophonic mass, one after another they banged violently! 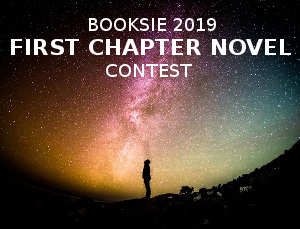 “You hear them?” Jackson said, his body trembling, his hands sweating as he sat down and held his wife as the sound grew louder and louder and louder, more violent and more aggressive! Whatever it was it wanted to be answered, it needed to be acknowledged! “Who are they? !” Shelly cried out. But Jackson couldn’t remember, he tried to, he wanted to but his brain retreated at any semblance of a fragment of a memory regarding tonight’s dreams. He didn’t know, he didn’t remember, he needed to do something though, he needed them to go away. They wouldn’t go away, they wouldn’t leave tonight until morning and then they would just comeback the next night, every night. He knew that, they were in his dreams, the demons in his mind that plagued him as he slept. He needed this to end, for his wife….so he could get better, as a man, he needed to get his life back on track so that he and his wife could finally be happy. He slid from the bed: “Go to the bathroom” he commanded with a whisper so that who ever was intruding would not hear. She looked to him, but he just gave her a kiss and ushered her away to go hide as he moved forward. She ran and closed the door, leaving it just a crack so that she could see, But she forgot her cellphone, she forgot that she could call the cops, but as she began to go retrieve it….it was too late. 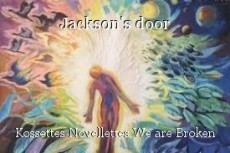 Jackson opened the door letting in a dazzling light, a white burst of radiant exploding into their room. But she knew that wasn’t what it was, her brain it wanted to comprehend what she was truly witnessing. What her eyes were really feeding into her brain but it didn’t work, all she could see was a light. A light that enveloped her husband as he cried out in agony. A light that flooded into the room and washed over everything, bursting into the half-opened bathroom and engulfing her in its radiance. She cried out as she looked upon it, her mind spiraling images of light and Honey-suckle and then for an instant her mind gave her a glimpse breaking her very sanity. Yikes! That was intense. Well visualized and I could feel the tension. Good job! No one writes them quite like you, Kossettes! I've got to agree with T. E.; this made for a pretty intense read!